Clinton Rosette seventh grader Halle Beverly, 13, signs a piece of the Martin Luther King, Jr. dream wall in the cafeteria at lunchtime on Friday, January 16, 2015. 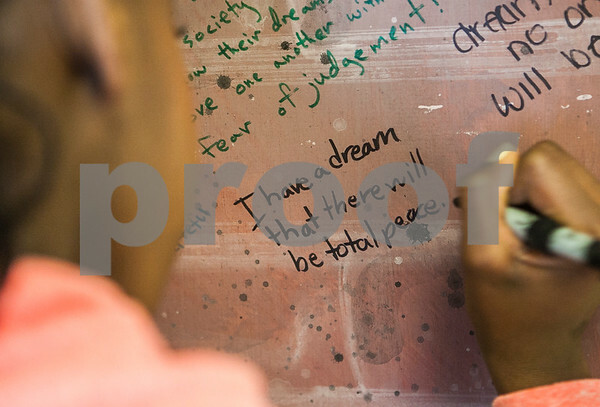 Pieces of the dream wall were also available to sign at DeKalb High School, Sycamore High School, Sycamore Middle School and Huntley Middle School. The pieces will be reconnected to be displayed at MLK events at NIU.